And much to my amazement, when I woke up, I not only got a reply but a link to a toast image. Great, what is toast? Well simply put toast is a format made popular by then Adaptec Toast. 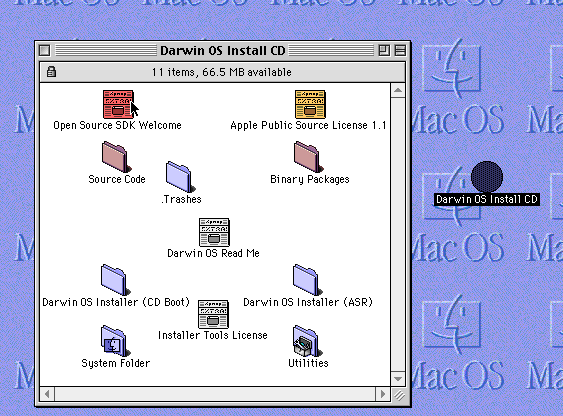 Obviously the sane thing to do is to find Toast, install it, and mount the disk image inside of a Macintosh. But, honestly, where is the fun in that? Instead let’s have Cockatrice III do it! Now I never did get around to writing proper CD-ROM emulation, nor integrating it, but that doesn’t matter! Instead I’m going to rely on Daemon tools Lite, to do all the heavy lifting. DTL will create a virtual SCSI adapter, add in a SCSI CD-ROM device, and mount the image. Needless to say, I’m on Windows and that is where that part of the adventure ends, as Windows 10 cannot read HFS. And there we go, now I can copy the files of just like having a real Mac. So after looking at the -Ofast flags in that utterly unfair GCC 1.4 vs GCC 5.1, and 6.1 , I thought I’d try to build Cockatrice III with it. Everything went well, and I had a build in no time. I always hated how I had to massively downsample the audio so I could at least hear things, so I thought I’d try to put them back to 44100Khz, 16bit stereo.  And while compiling, older GCC runs fine, while 6.1 throws this run error! Well it turns out that it’s getting truncated as the audio_sample_rates are defined as an unsigned int, but it really want’s to be a regular integer. So I changed the type, and now I have high def audio! 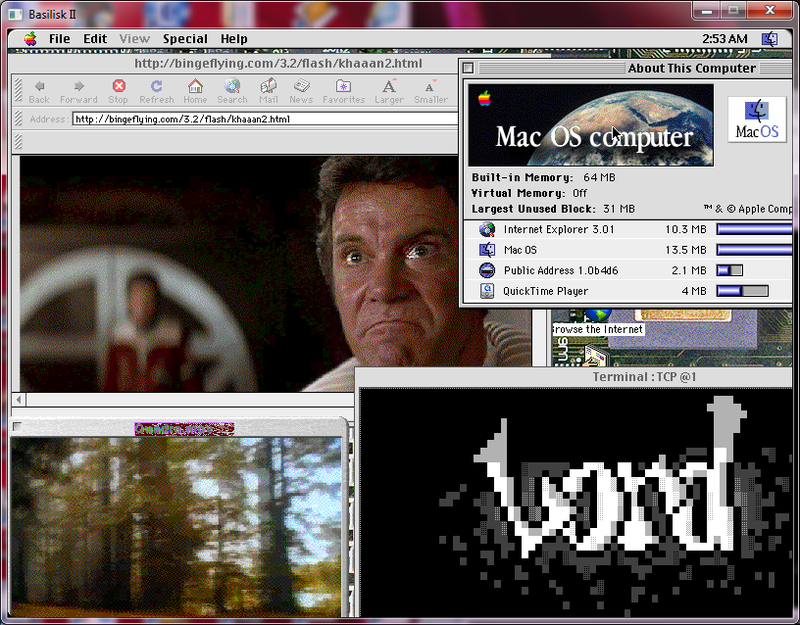 While I was in there, I fixed some stupid typos in the keyboard so I can actually use vi in MacMiNT. It’s still in 256 colors, I’m missing something fundamental as to why it’s not working but I just don’t have enough time to mess with it today. For anyone who cares, the Win32 binary package is on sourceforge. And it is quite frustrating. 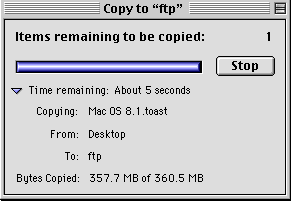 The most I can do is about 100MB worth of AppleTalk traffic, or 1.5GB of TCP/IP then the receive function EtherReadPacket just stop being called, and then the whole thing stalls out. I don’t really ‘like’ my solution, but it does work. I went ahead and chained the EtherInterrupt function to the 60Hz timer to ensure it’ll fire, and it seems to be working. The good thing is now I’m getting ~200K/sec using pcap or SLiRP. So things are faster! Then after scanning the changelog, I found this interrupt patch, and it doubled my throughput on the network to over 400K/sec! So now I can copy about 350MB worth of data in about 5-7 minutes, and it doesn’t stall out. I can now copy hundreds of MB worth of stuff from one AT server to another. 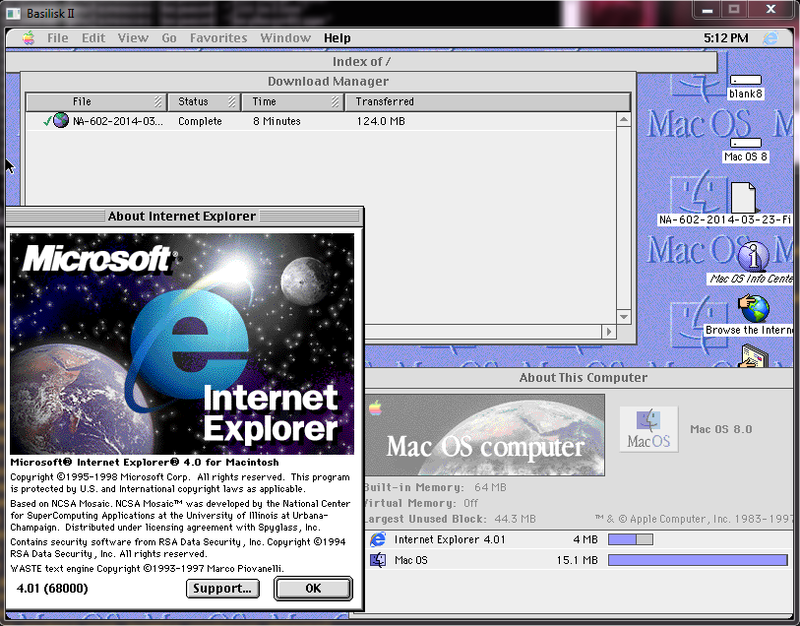 I know IE has always had a bum rap, but it really is a better legacy browser on MacOS. I also merged the scsi driver’s buffer with BasiliskII’s buffer so the scatter/gather can now handle the absurd requests of 4MB++ worth of reads in one swoop. I was kind of surprised. Even more so that I could get it working to my Exchange 5.5 server. Unless you have AppleTalk enabled on your server, you’ll need to setup your TCP/IP, and that also means you have to be able to resovle the exchange server by name. If you want to use a hosts file, be sure to set the user mode to advanced in the control panel, and then setup a hosts file in the special format that looks more like a DNS zone record. Then save it somewhere like System/Control panels, point the TCP/IP panel to it, and that should do it. 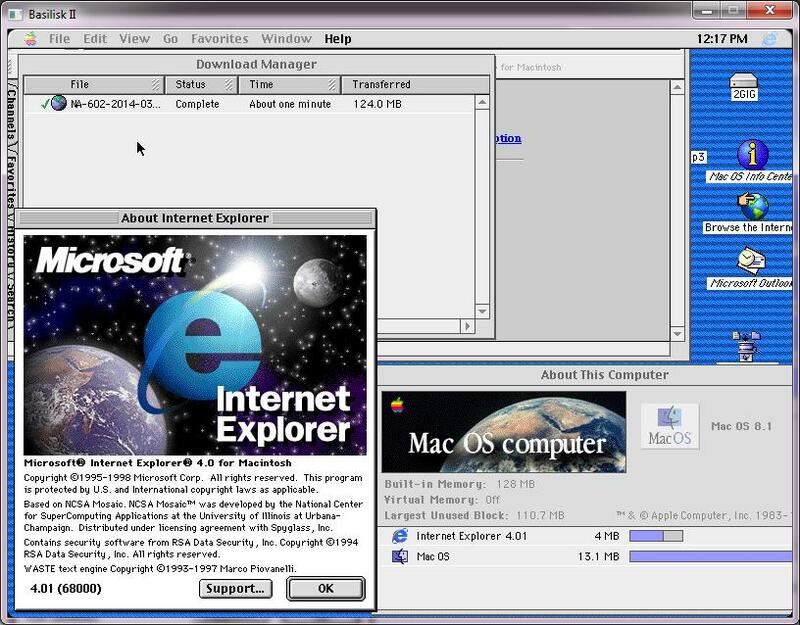 For anyone who wants to try to connect to their Exchange server, you can find the client here, on their ancient ftp server. 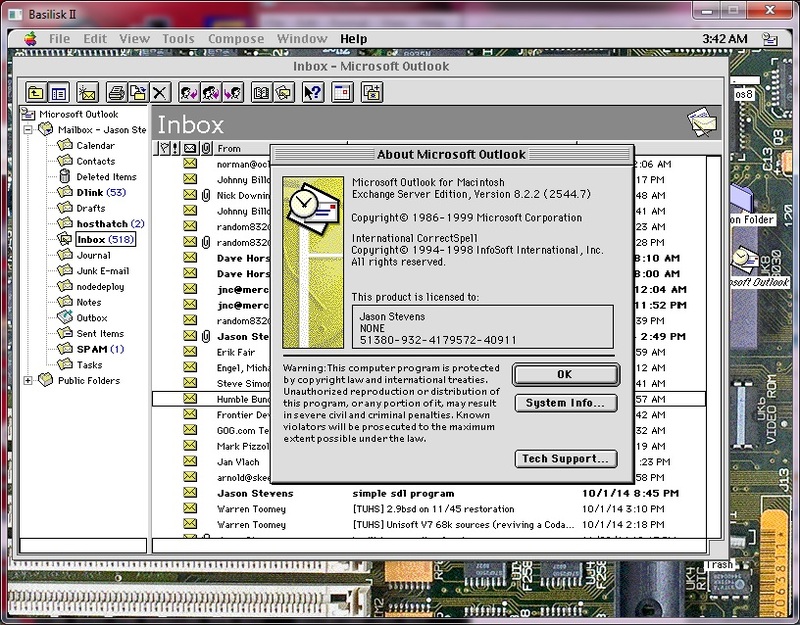 And I suppose you could also try the one from Exchange 4.0SP2, but I didn’t bother, since this one is so new, like 1999!